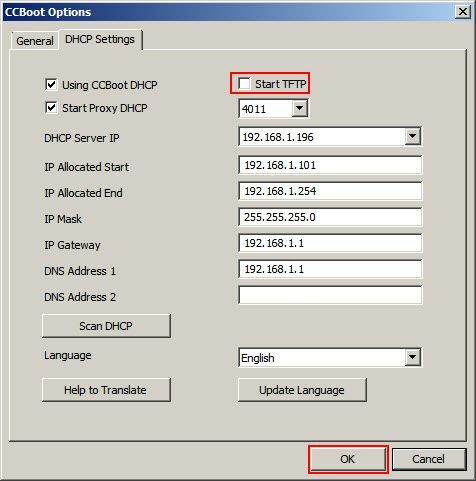 1) In "CCBoot Options" dialog box, click "DHCP Settings" tab, uncheck "Start TFTP" check box, and then click the "OK" button (Figure 1). 3) Download link: http://www.ccboot.com/download.htm ("GPXE" and "NEWIP"). 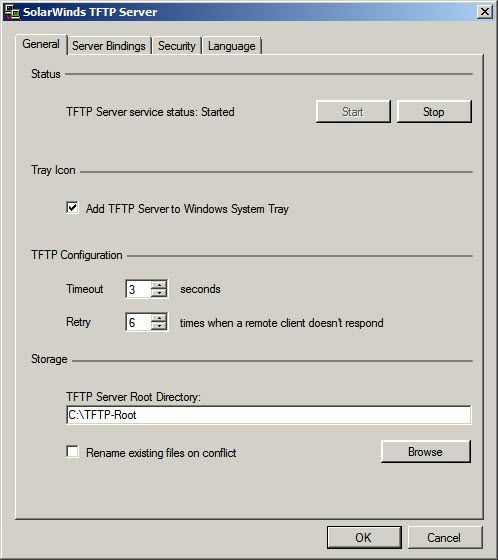 4) After installing Solarwinds TFTP Server, copy the two downloaded files to C:\TFTP -Root directory (If Solarwinds installation directory is customized, then copy the two files (gpxe.pxe, newip.cfg) to Solarwinds installation directory), and then start the Solar winds (Figure 2). 5) Solarwinds running status (Figure 3).